Save £2 off per adult on bookings and travel until 28th October 2018! 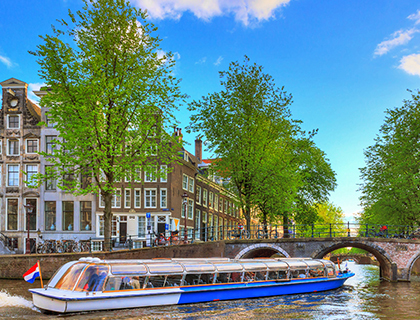 Explore the city of Amsterdam on this 1 hour Canal Cruise, before skipping the line into the premier Dutch musuem, the Rijksmuseum. 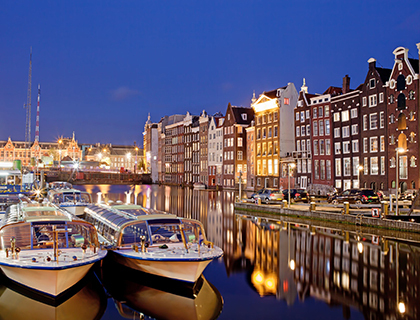 A perfect trip for those curious about the history of Amsterdam! Admire the city from the water in this 1 hour Canal Cruise taking you through the unique UNESCO World Heritage canal district. 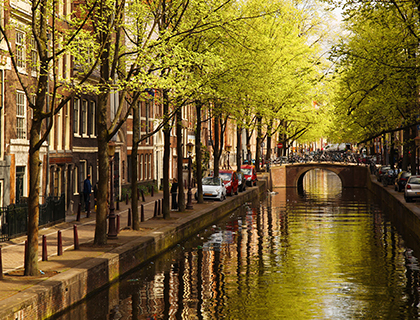 There’s nowhere quite like it; Amsterdam is sometimes known as the ‘Venice of the North’, but has a very different history to the Italian city of canals! Feast your eyes on the elegant merchants’ houses that have lined the canals since the Golden Age in the 17th century, the beautifully decorated façades and gables, beautiful churches, the iconic Magere Brug (Skinny Bridge) and many more highlights. 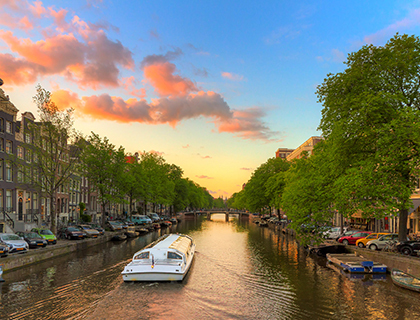 It’s no wonder that Dutch art around this period was some of the most acclaimed in the world when you see the astonishing landscapes as you sail down the canals. There’s a commentary in several languages you can listen to during the cruise. 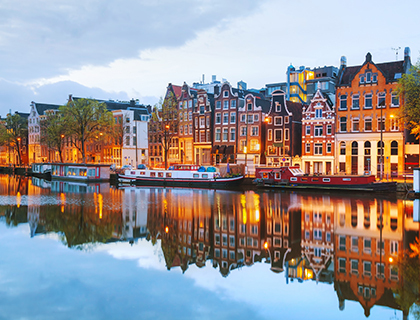 It’s a perfect trip for those curious about the history of Amsterdam, its unusual architecture and rich culture! It’s a great opportunity to learn more about the Netherlands with your friends, family, and even that special someone. Now you can also choose to include a visit to the Rijksmuseum! The Rijksmuseum is the largest museum in the Netherlands and is home to an extensive and beautiful art collection, showcasing Dutch history during the period between 1200 and 2000 AD. Frequent departure times, approx every 20 minutes. Electrical motors: no smell and no noise. Windows never steam up due to good heating system. Please redeem your e-ticket at Damrak 26, Amsterdam. You will then receive your tickets for the Canal Cruise and the Rijksmuseum. The canal cruise during the winter season departs daily between 9.30am and 9pm from the Prins Hendrikkade 25, Amsterdam. During the summer season (21st March until 30th October 2016) the cruise departs daily from 10am until 5pm. Unfortunately the boat is not accessible to disabled visitors. Wheelchair users can leave their wheelchair at the dock and can be seated at a table close to the door. Please call us when you make your booking so that we can advise the local tour operator. Please note that all visitors will need to walk down a few steps to get on board.